Student’s killing highlights growing muscle of TMC student wing in extremely political atmosphere. Less than a month before a student was beaten to death at Sajanikanta Mahavidyalaya in Sabong, West Bengal, students at a Nadia school had slapped a teacher over a dispute over mark sheets. And on July 22, Trinamool Chhatra Parishad (TMCP) members had assaulted a teacher at Rahmania Higher Secondary School, Asansol, during a dispute about the school management committee. Violence has been part of West Bengal’s campuses since the time the CPM-backed SFI dominated the unions. Many educationists say it is a reflection the extreme politicisation of the setup. They also note that what is hapening now is an extension of what had happened during the Left Front regime. When Mamata came to power in 2011, she had promised to free educational institutions from political control and interference. But politics has continued to dominate the academic environment with the leading TMCP seeking a major role in administration. The violence reached flash point in 2012 when a policeman was shot dead at Harimohan Ghosh College in Garden Reach on Kolkata’s outskirts. A TMC councillor was arrested for alleged complicity and campus elections were banned from February 19, 2012, until the end of 2014. The killing of Krishna Prasad Jana in Sabong last week has brought the party under fire, with protests from Sabong to Kolkata. The third-year student was beaten to death inside a room in the college. TMCP activists had reportedly been demanding that all students join a reception for a TMC minister arriving on an inspection but Chhatra Parishad (Congress) supporters refused, leading to a clash. “Things are too serious; this is not the right time to talk about it,” said Trinamool MP Saugata Roy, himself a professor. Krishna Prasad belonged to a poor farmer’s family. Sources in Sabong said he had failed in 2013 and 2014 but was determined to become the first graduate in his family. He had gone to the college to fill up a form for readmission to the third year when he was beaten to death. Sajanikanta Mahavidyalaya was one of the few colleges where the TMCP isn’t in power, the Congress’s CP having dominated the union since 1978. The TMCP controls over 450 college unions out of 478 in Bengal. Before that, the CPM-led SFI had been dominating college unions for decades. The slide began when 2009-10 when it could win only 260 of 413 college unions, down from 335 of 424 in 2008-09. The biggest blow to the SFI came when it lost the prestigious polls to Calcutta University, where it had been in a majority since 1978. The SFI’s slide began, in fact, before the Trinamool Congress set up a student wing. The TMCP came up in 2011 after Mamata came to power. 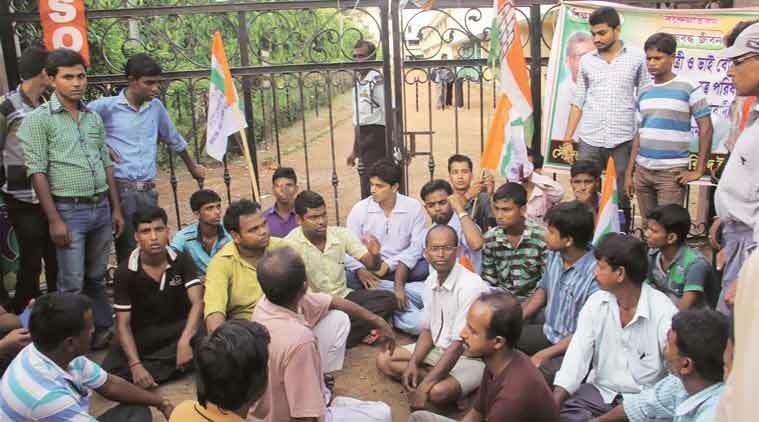 Earlier, the Trinamool Congress had only a youth wing. Mamata, in fact, observes the Trinamool Chhatra Parishad’s foundation day on August 28, originally the foundation day of the Congress’s Chhatra Parishad.